Take GA-166 W to I-285 S ramp. Take exit 2 for Camp Creek Parkway toward Atl Airport. Turn right onto GA-6 W/Camp Creek Pkwy. Turn left onto Merk Rd SW. Wolf Creek Amphitheater will be on the right. *ALTERNATE ENTRANCE: Bypass Merk Road and go to Enon Rd. Turn left onto Enon Rd. Wolf Creek Amphitheater will be on the left. Merge onto I-285 N/GA-407 N via exit 68 toward Atlanta Bypass/International. Take the Camp Creek Parkway exit, Exit 2, toward Atl Airport. 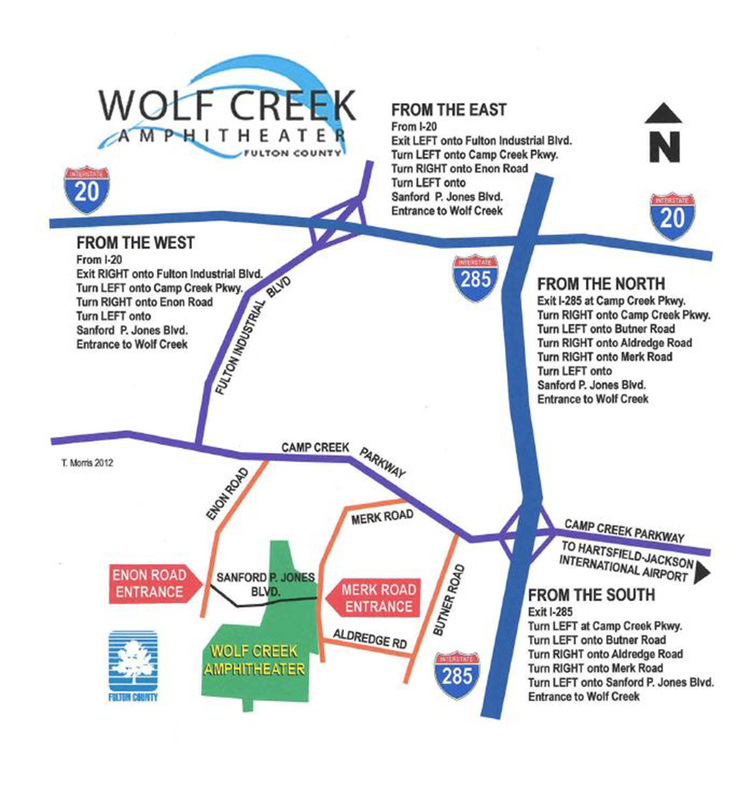 Turn left onto GA-6/Camp Creek Pkwy SW.
CLICK HERE for detailed directions from your location. CLICK HERE to print location map.